Explore the famous landmarks and monuments of Washington, DC on this guided, 3-hour, walking and riding sightseeing tour. Hop aboard a deluxe motor coach and enjoy an educational and entertaining narrated history of the nation’s capital. 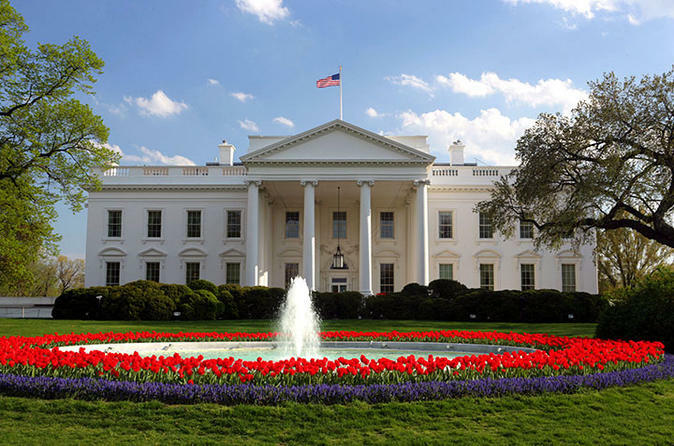 Stop at the White House and the United States Capitol, plus the Lincoln Memorial, the Vietnam Veterans Memorial, the Martin Luther King, Jr. Memorial, and much more. After a local hotel pickup, meet the guide and the rest of the tour group at the National Archives Building to begin this comprehensive, 3-hour tour around and through the nation’s capital — Washington, DC. Travel aboard an air-conditioned motor coach with an expert local guide who knows the city of Washington, DC inside and out. On this 3-hour morning tour, visit the most popular monuments, memorials, and museums in DC. Drive by 30 of DC’s top sites with stops at 12 of them, including the United States Capitol, the Martin Luther King, Jr. Memorial, the Korean War Veterans Memorial, the World War II Memorial, the Lincoln Memorial, the White House, the Franklin Delano Roosevelt Memorial, the Vietnam Veterans Memorial, and the Vietnam Women’s Memorial. Along the way, hear the historic stories and facts that make the city of Washington, DC one of the most popular tourist destinations in the US. Drop-offs at the National Museum of Natural History or the Fashion Centre at Pentagon City are available at the end of the tour.